Custom Fabricating & Supplies (CFS) was established in the year 2001. We started off in a small office in downtown Milwaukee. Our business grew rapidly and the need for more space was necessary. 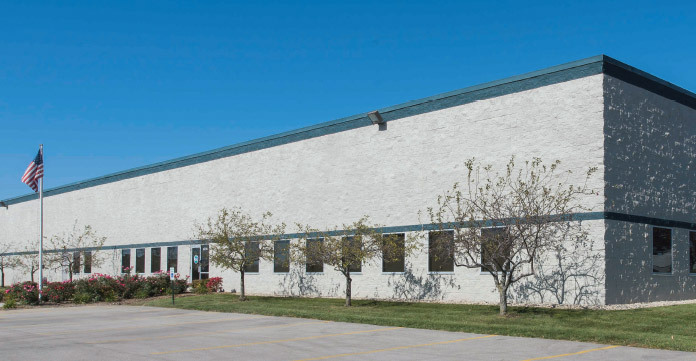 In 2003, CFS moved to its second facility located in South Milwaukee. By 2005, CFS was doing more and more custom work and doubled in size. That year we moved for a third time to Greendale, WI. We continued to expand our flexible converting capabilities, and in 2008 CFS became an approved 3M Converter. In 2013, CFS became an ISO 9001:2008 certified company. A credit to its staff, CFS continues to grow each year and in 2014 moved for a fourth time to our current 30,000 SQFT facility in Franklin, WI. Plus we have four additional locations throughout the USA to help better serve you. Our goal has been the same since day one. To make sure YOU the customer are completely satisfied! We offer our customers excellent service, easy to apply design concepts and the best lead-times in the industry. Our staff is always available to assist you in any way. CFS wants to build partnerships with its customers so your success is our success. Our competitors might say the same things, but at CFS we do what we say. It’s a personal guarantee each of our employees abides by at CFS. We must follow through and give the customer what they’re expecting and always try to over deliver! We want to make a difference and help our customers grow. Let CFS work for you and give us an opportunity to earn your business.